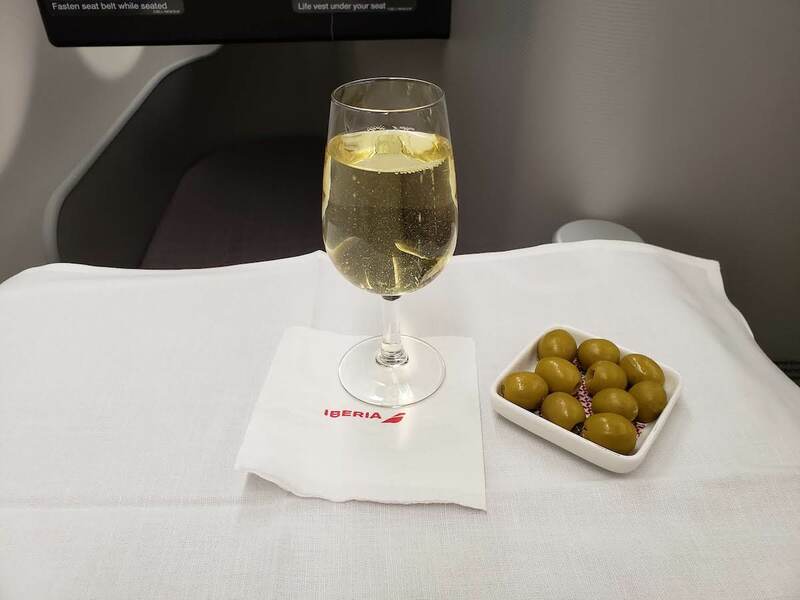 After participating in the fantastic promo that Iberia ran last year, I booked an award Business Class flight from LAX to Madrid on Iberia for my spring break. The round trip flight cost 85,000 Avios plus $256.75 in taxes/fees. 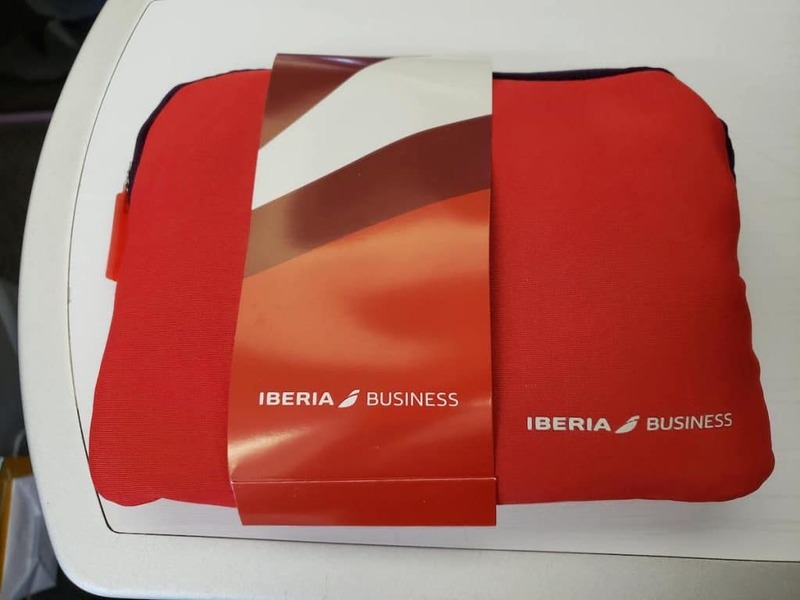 Normally I wouldn’t say it was a very good use of Avios, but with the promotion on Iberia, the Avios only cost me $267 and there were limited redemption options. 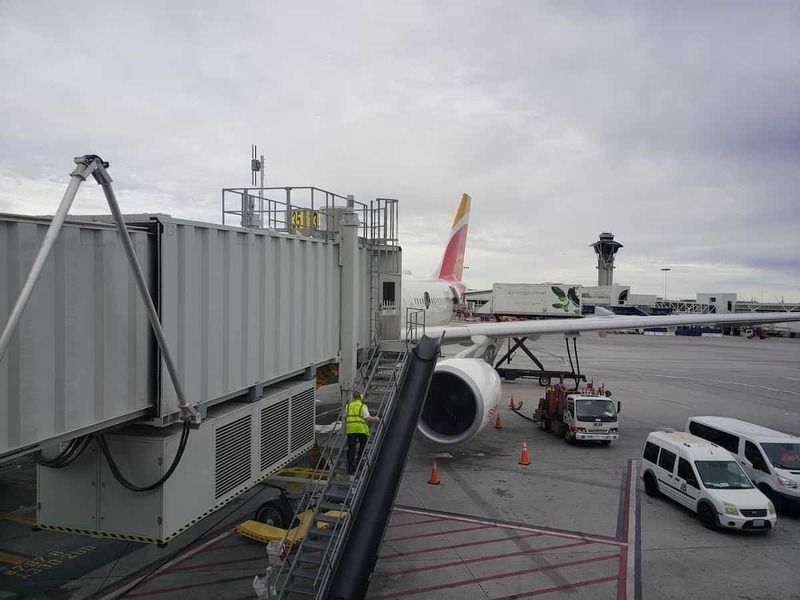 Iberia only has one LAX-MAD flight per day. In fact, my originally booked flight got canceled and moved to one day earlier. Depending on the season, the flight may not fly every day of the week. 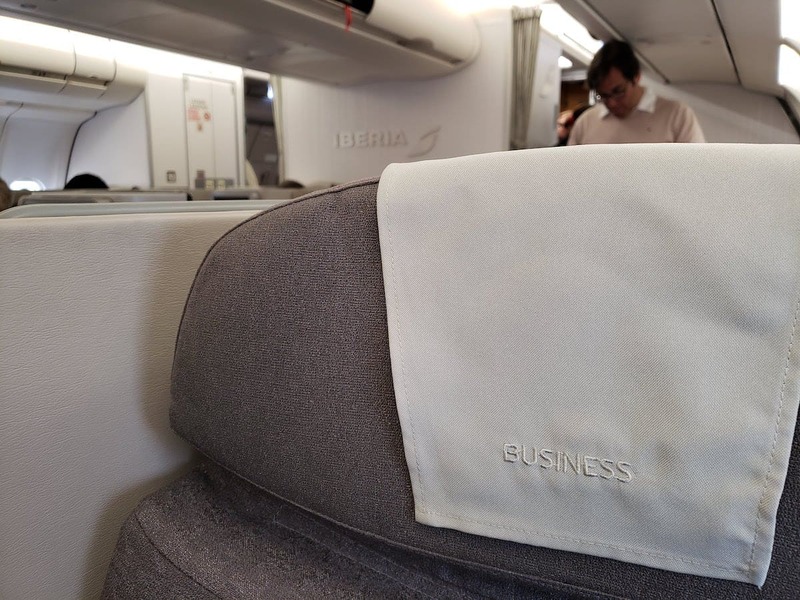 Iberia “Business Plus” is their name for long haul Business Class where their “Business Class” is for shorter flights typically within Europe — think of it as British’s Club World vs. Club Europe. I was transferring at LAX from another flight, so I didn’t get to make use of the offered fast-track through security. After a visit to the oneworld Lounge at LAX, I headed to Gate 135 in the less-luxurious annex of the International Terminal. The flight was scheduled to leave at 5:40pm, but boarding didn’t start until 5:20. 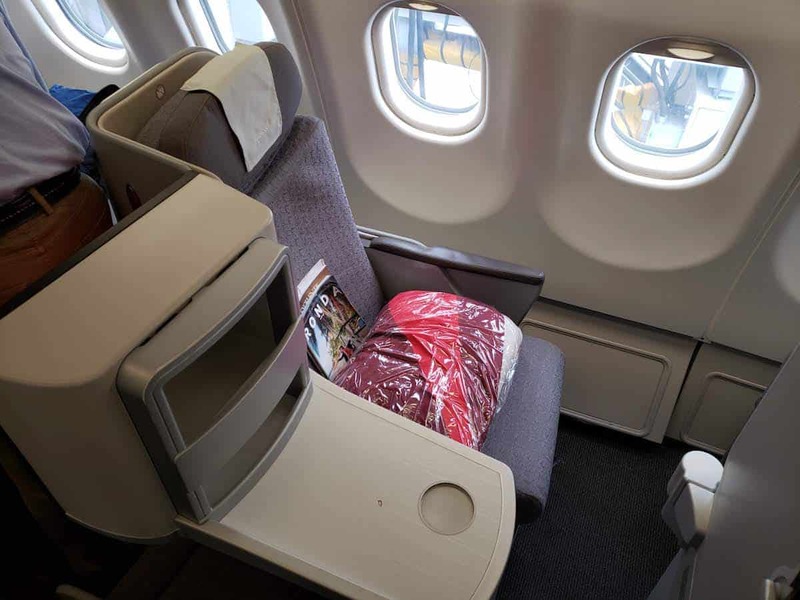 The Business Class cabin on the A330-200 is small with only 19 seats. There are 5 rows in a staggered 1-2-1 configuration. The most private seats are 2A/L and 4A/L as the seat is directly against the window with a larger separation from the aisle. The aircraft I flew (nickname: Montevideo) was only 3 years old. I was seated in 2A and I think every seat was occupied on my flight. Boarding took place through the second door, behind the Business Class cabin increased the sense of privacy. The seat is snug but private. At a hair under 6’2, I was still able to fully lie flat and get a good amount of sleep. 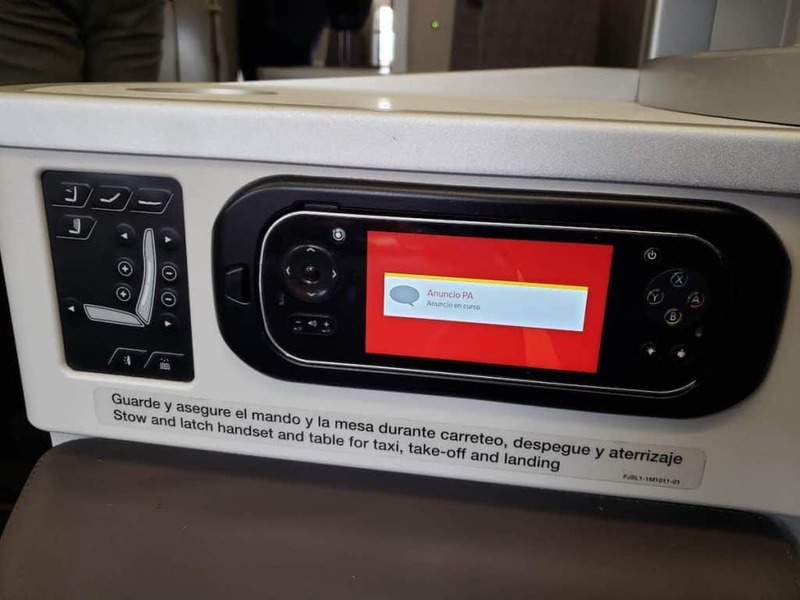 The inflight entertainment screen is non-adjustable. While there was a decent selection of new movies, the computer system was glitchy and reminded me of listening to a scratched CD. I asked the flight attendant to reset my device but the skipping/stuttering of the movie remained. In addition to the touch screen monitor there is a touch pad remote in the armrest. I didn’t ever feel the need to use it as the screen was more responsive. Next to the remote is the seat adjustment. In addition to the overhead light there is a small LED adjustable reading light. There is no controllable air vent, which is disappointing as the plane was quite warm. Lower on the armrest is the power outlet and earphone outlet. 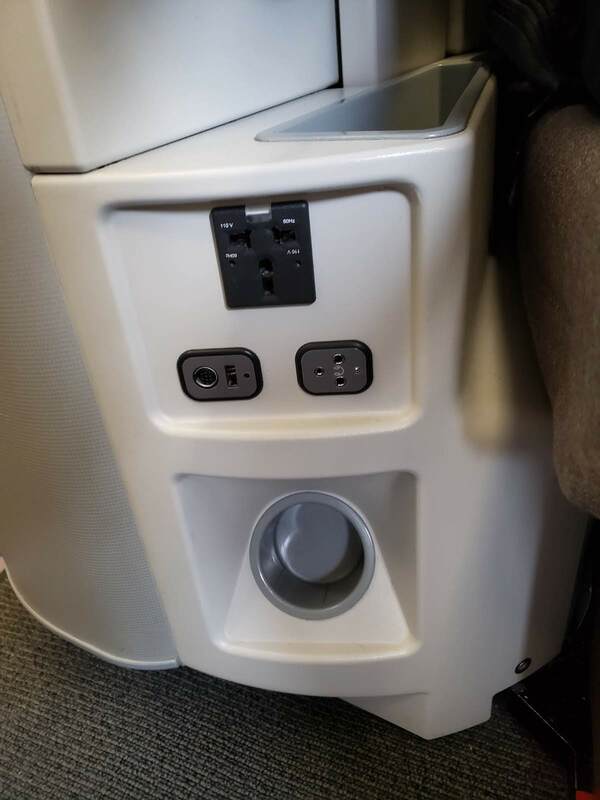 The USB charger at my seat was broken. There is also a spot for bottle water. 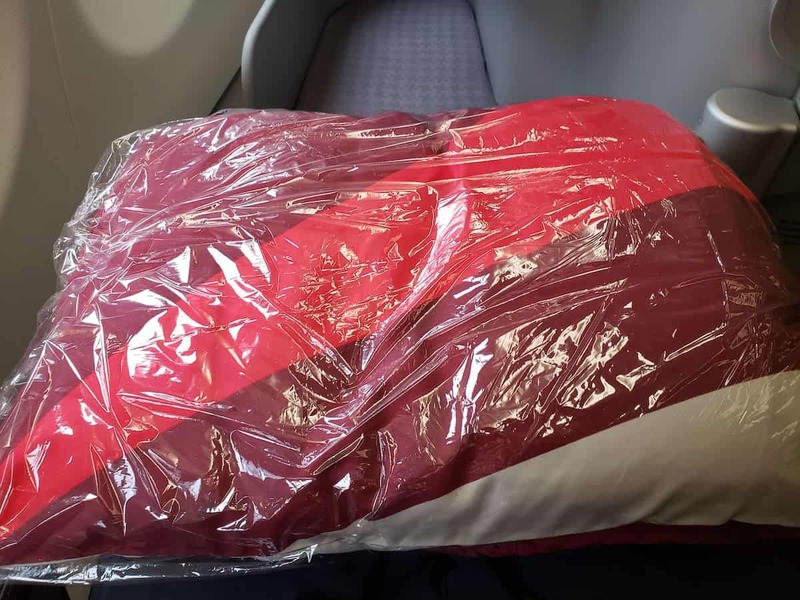 Upon boarding, each seat had a blanket and pillow. 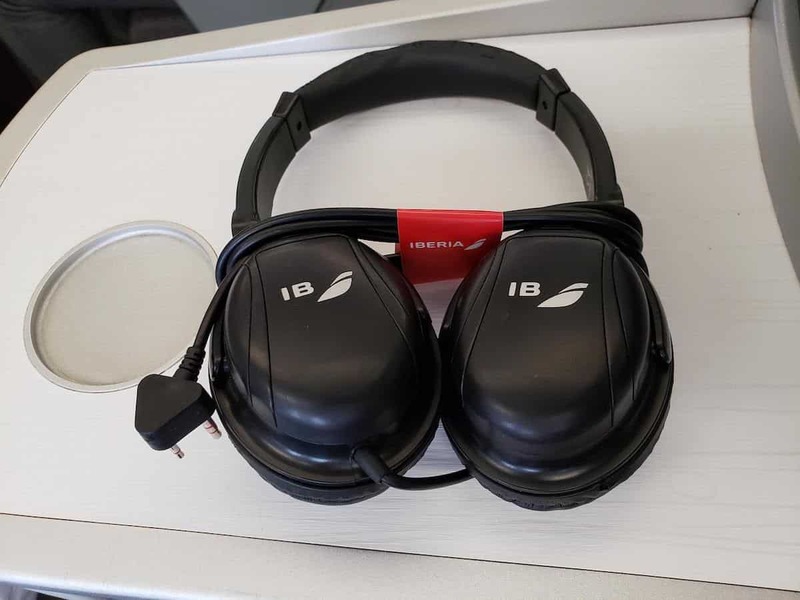 The flight attendants came around before take off with amenity kits, menu, headphones, and choice of water or orange juice. 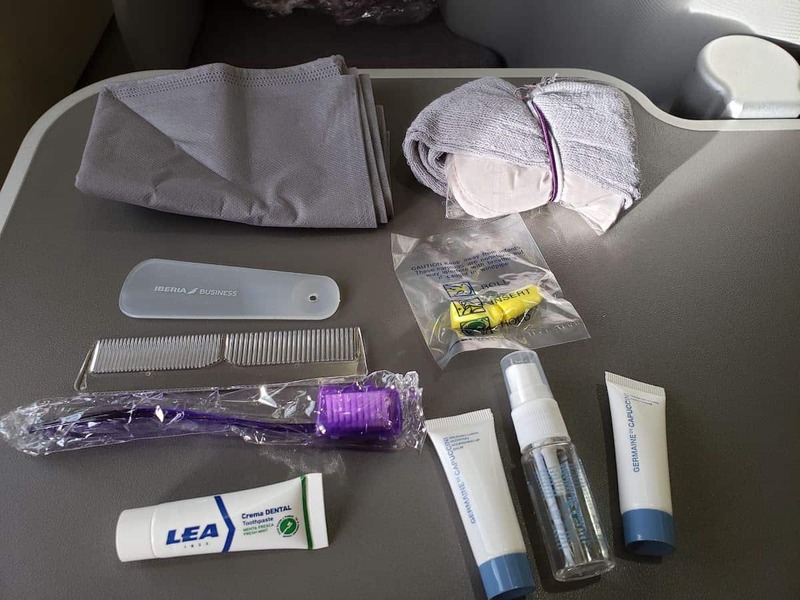 The amenity kit is made out of a neoprene type fabric. Inside is a toothbrush and toothpaste, comb, shoehorn, lotion, face mist, lip balm, ear plugs, socks, eye mask, hairband and shoe bag. 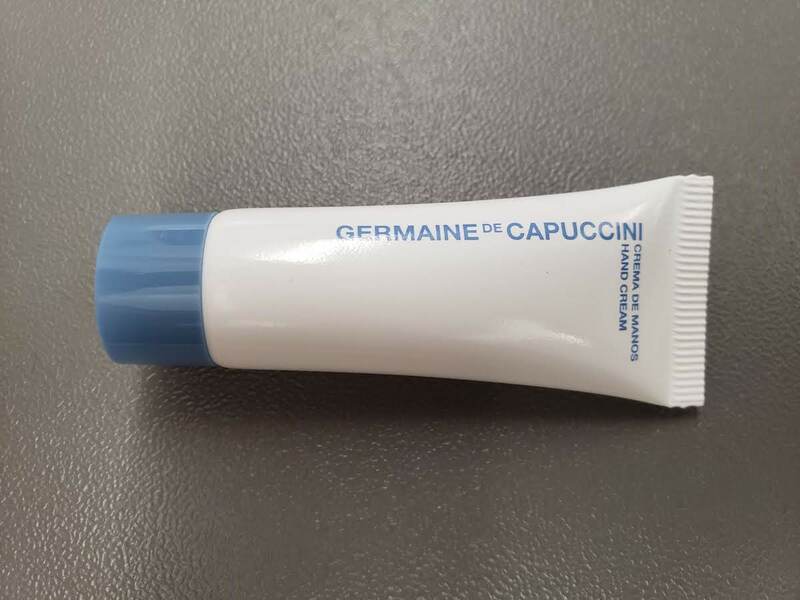 The products are Germaine de Capuccini brand. 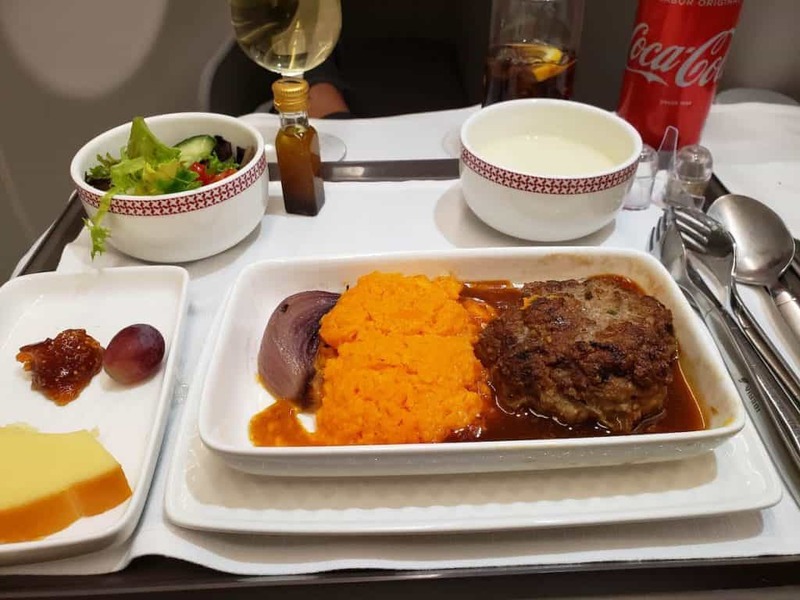 Dinner was served soon after take off. Iberia does something I had never seen before in Business Class on another airline: they take orders from select passengers first. I assume that these are either full fare paying customers or those with elite status. It was a bit awkward seeing the flight attendants going to various passengers and skipping over others. 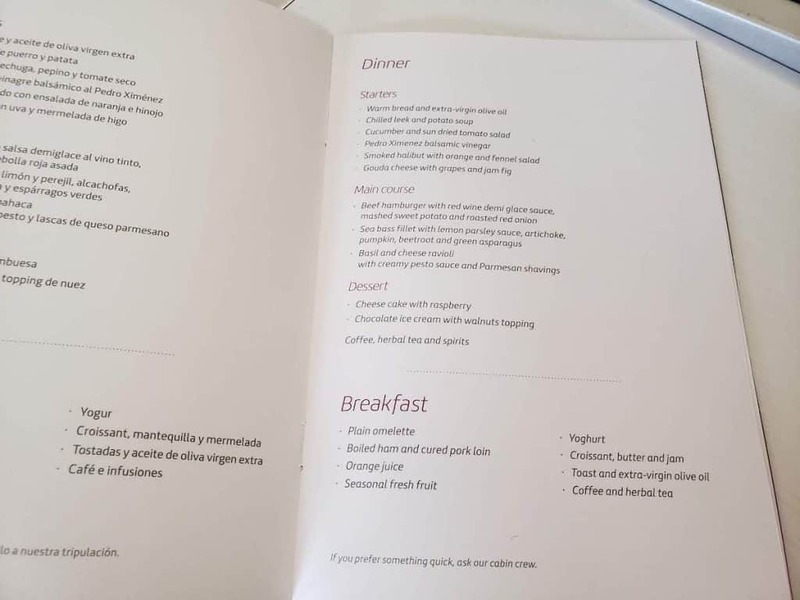 As I was one of the later passengers to get served, the fish option was no longer available. I picked the “hamburger” option instead. Drinks were served (again, the VIPs served first) along with nuts and/or olives. Cava is the closest option to champagne served. The starters were all served at once. A selection of bread was offered and I was asked whether I wanted the cold leek and potato soup. When I had finished the smoked halibut, they took away that plate and served the hamburger. The food tasted about as good as it looked. Fortunately I had a full meal before the flight. Choice of ice cream or cheesecake was served for dessert. 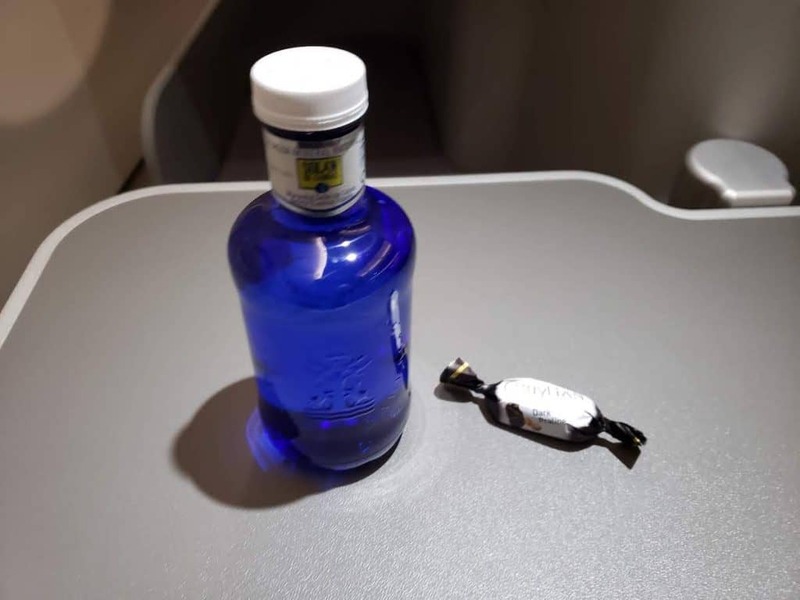 After dinner, coffee and tea was offered and bottles of water were passed out (along with a chocolate candy). Lights were turned off and I was able to sleep a majority of the flight. My only complaint was the temperature (too warm). 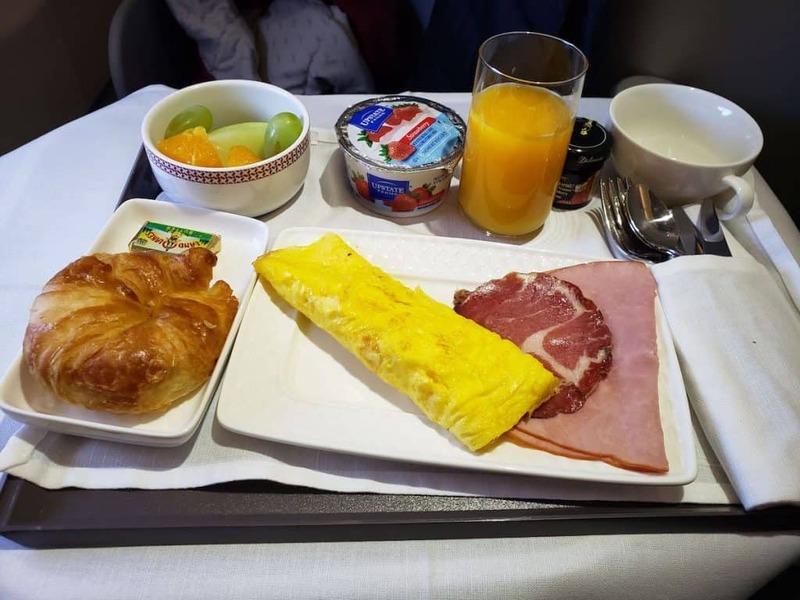 About 1 hour prior to landing, breakfast was served. 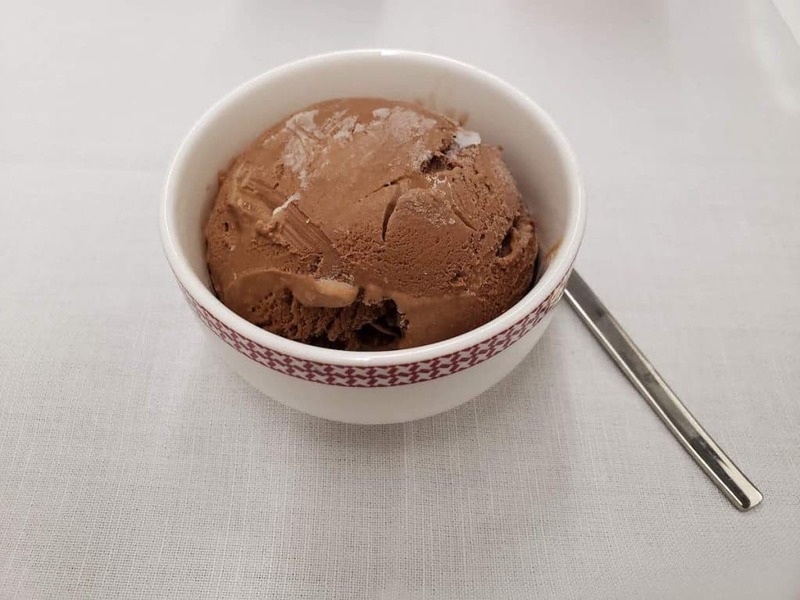 The only choice was whether or not you wanted coffee or tea with your meal. Everyone was served the same tray including orange juice. Upon landing, the front door was used for unloading which meant the entire Business Class cabin was able to exit before the Economy Class passengers. I made my way through Terminal 4S, through passport control and security, to Terminal 4 where I waited for my next flight in the Iberia Dalí Premium Lounge. 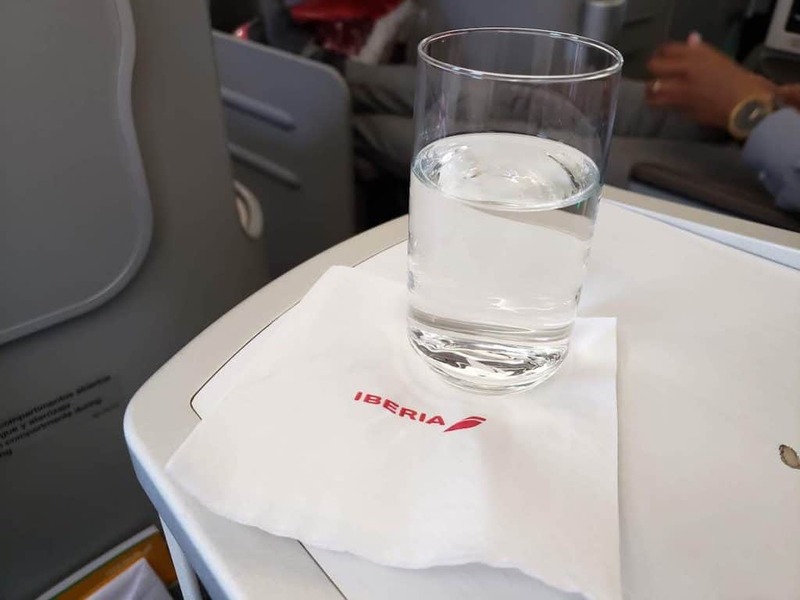 Overall I found the Iberia Business Class experience to be mediocre. The best part is having the lie flat seat for the flight across the Atlantic. The service was average. The entertainment system was glitchy. 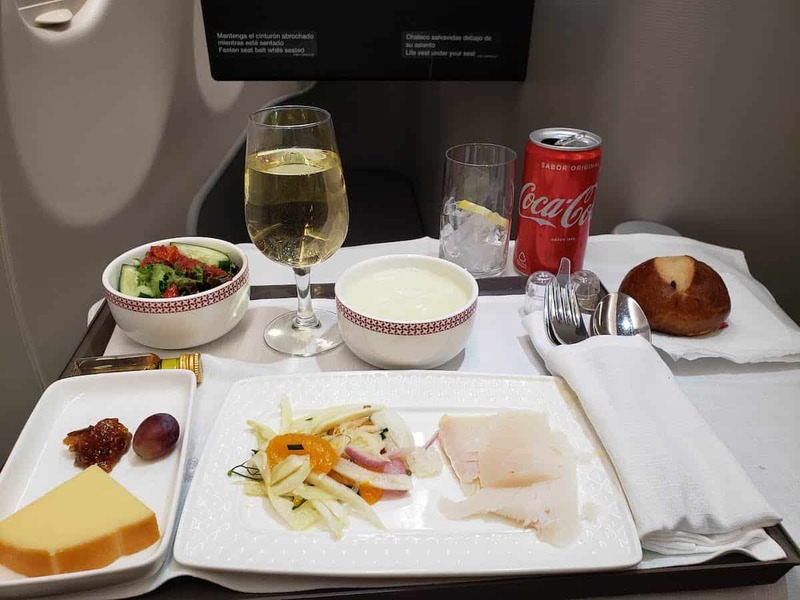 The food was some of the worst I have had in a long haul Business Class. 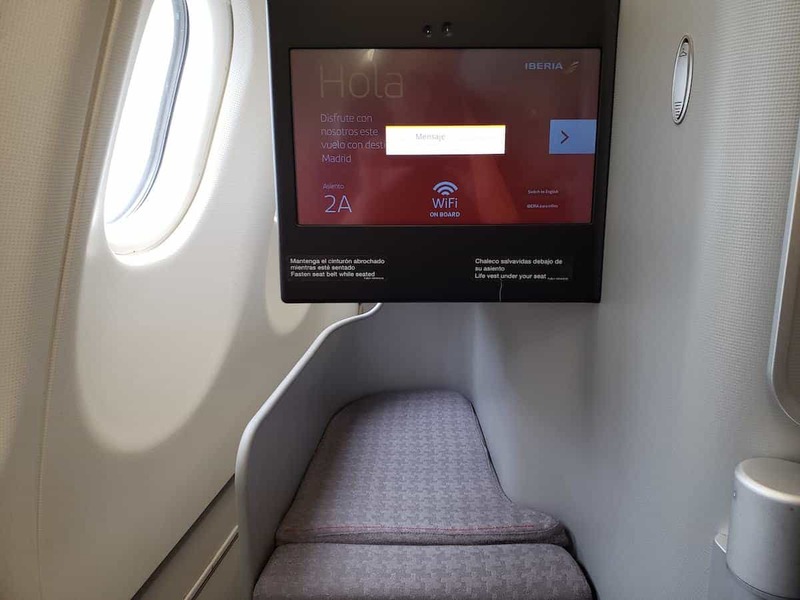 I would not go out of my way to fly Iberia Business Class again the future.